For awhile now I’ve been wondering if GMO food can carry an organic label. The recent edition of Vegetarian Times actually addressed this concern. The bottom-line is no GMO’s cannot be labelled organic. This is good news. Lobbyists are always trying to get our government to shift the definition of labels and I’m always concerned about what big business is really getting away with. GMO’s are genetically modified organisms specifically altered by human science. GMOs are made using techniques that alter the molecular or cell structure of an organism with methods that are not possible under natural conditions. For instance humans have modified the soybean to be able to thrive while growing in soil covered in the weed killer Roundup. 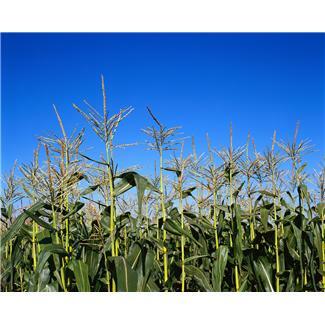 Corn is another crop that has been hugely affected by GMO’s. If you noticed pretty much all process food contains either soy or corn product if not both. One other interesting thing about organic labels. For an organic dairy farmer to keep their organic label they must not use any drugs what so ever on their cows. This means that if a cow has a simple udder infection rather than be treated she is sent to slaughter. Many organic dairy cows die at ridiculously young ages due to this. I get the point and necessity for organic labeling but there’s got to be a better overall method to this madness. For now I think I’ll stick to cruelty free organic rice milk. Recently I watched the movie Food, Inc. If you haven’t seen it, I highly recommend it. A majority of it made me simply glad to be a veg. Later in the movie they moved on to genetically modified produce. This obviously made me sit up and pay more attention. Not that I wasnt aware of gm foods but seeing it and hearing the descriptive is quite compelling. Soybeans are used is so many foods that of course it’s very beneficial to be re-engineered into something that can grow more productively. Scientists created a soybean seed that can grow regardless of how strong a pesticide is sprayed on and around it. Monsanto is the company that grows these soybeans and they have quite a monopoly on their growth in the USA. As a giant company it is very easy for them to choke out the local growers who are farming organically. One issue is that even when you purchase organic soybeans a portion of them might still be genetically modified. Sometimes the issue arises from the supplier of the actual beans to plant soybeans. Other times it comes from organic farms being very close in proximity to non organic farms and then there’s cross contamination. Generally speaking I’ve been trying to get away from consuming too many soy products. Like corn, soy is in so many of our prepared foods, which I also do my best to avoid. For milk I’ve switched to an organic rice variety that I purchase by the case at Costco. I eat a minimal amount of vegetarian “meat products but they are quite good on occasion. 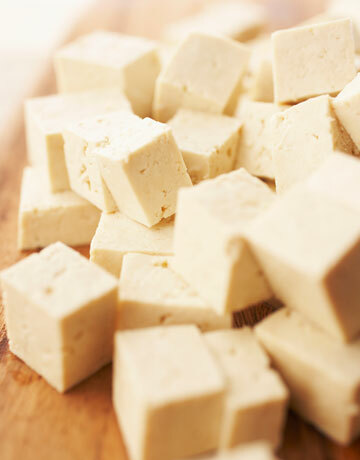 There seems to be several options for organic tofu that you can purchase. Whole Foods 365 generic label is organic as is Trader Joe’s generic brand. According to Nasoya’s website their tofu is organic but they explain that they get beans from all over the world. Silken brand also claims to be organic and per their website is made in the USA. At least it’s not being shipped halfway around the world. For myself, I’m not gong to stop eating tofu, I’m just going to spend more time reading labels and being certain I know what it is that I’m eating.